To explore and understand how OA impacts work participation, work adaptation, and workplace support in people living with OA. To explore employers’ understanding of OA and the workplace policies to support employees with OA. 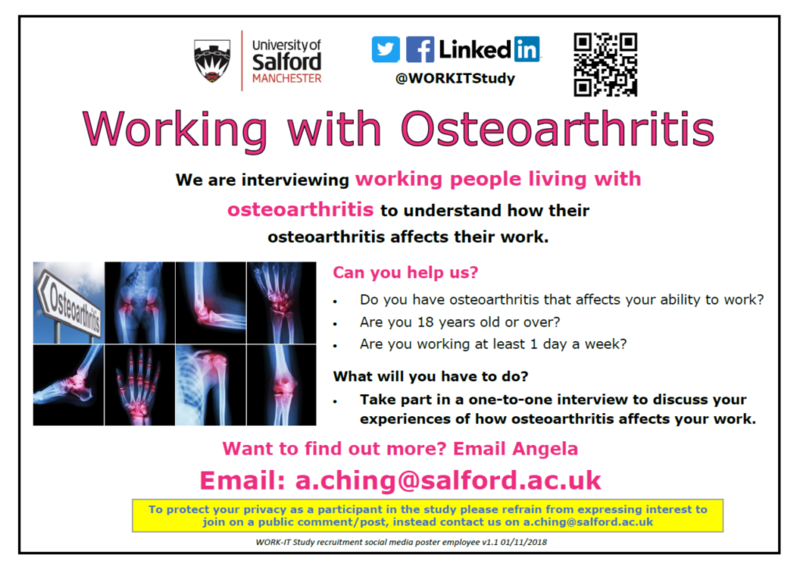 This study is funded by the Arthritis Research UK-MRC Centre for Musculoskeletal Health and Work. This study is organised by researchers at the University of Salford and has been reviewed and given a favourable opinion by the Research Ethics Committee at the University of Salford. Are you an employee with OA? 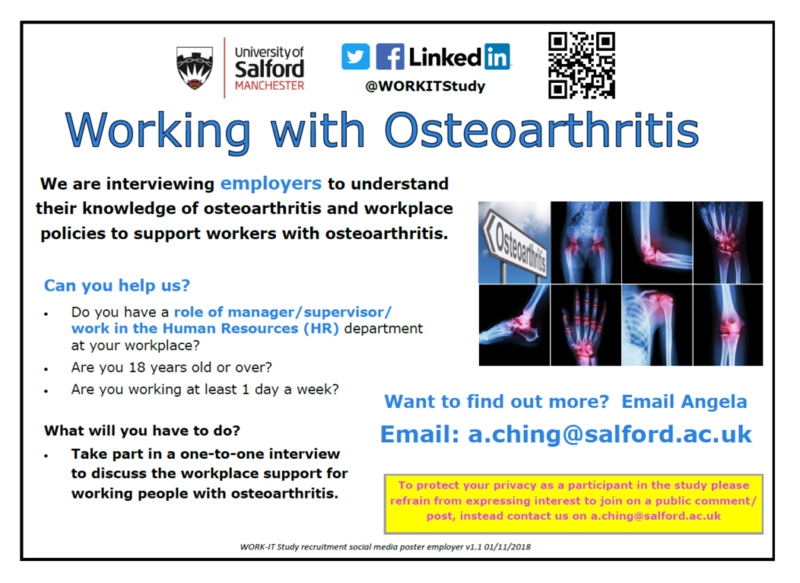 Are you an employer of people with OA?